A landmark on the urban waterfront, featuring outstanding views and a magnificent atrium. 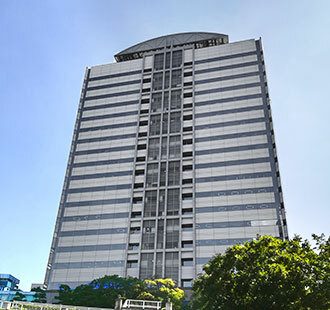 This office building is complete with large conference rooms, a hall, a direct connection with the train station, and it is equipped throughout with state-of-the-art disaster prevention measures. 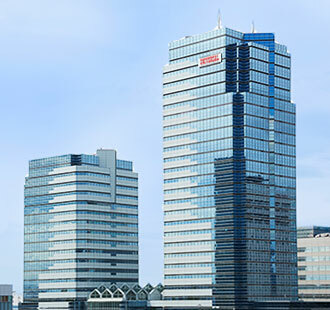 Connected to two train stations: Tokyo Teleport Station on the Rinkai Line and Odaiba-kaihinkoen Station on the Yurikamome Line. 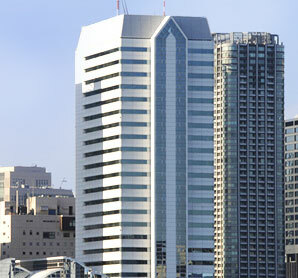 Situated in popular Daiba, the surrounding area consists of both thriving attractions as well as peaceful green spaces. Directly connected to Telecom Center Station on the Yurikamome Line. A relaxing office environment that promotes creativity, surrounded by a beautiful landscape of green parks and shimmering sea. Directly connected to Tokyo Big Sight Station on the Yurikamome Line and Kokusai-tenjijo Station on the Rinkai Line. 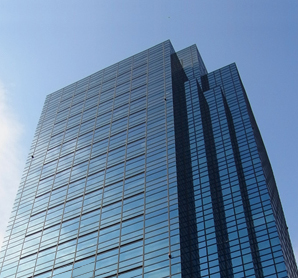 An office space complete with large conference rooms and an exhibition arena, just a 3-minute walk from Tokyo Big Sight. Directly connected to Takeshiba Station on the Yurikamome Line, and JR Hamamatsucho Station is also accessible via the pedestrian walkway. An office building amongst the beautiful bayside scenery, replete with conference rooms perfectly suited for seminars and other events. 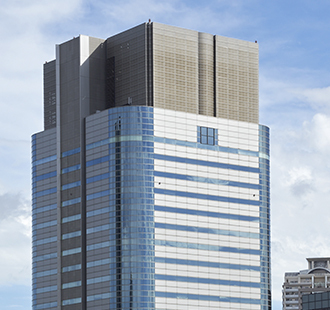 An urban oasis boasting stunning views of the surrounding Hama-rikyu Gardens and Tokyo Bay. 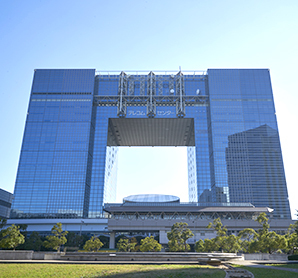 New Pier Hall is one of the largest single level multipurpose halls in Tokyo.